This is the sunrise I woke up to this morning and this is a more mellow sunrise. Sometimes the entire sky is full of pink and orange and glorious sun rays. 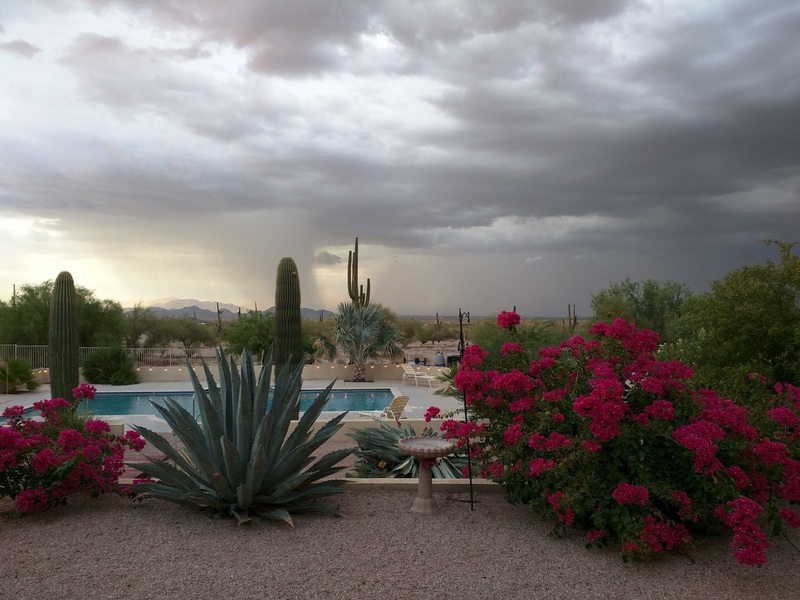 I live surrounded by desert beauty in the middle of the Sonoran Desert. The dirt road to my house has a cactus in the middle of it. The moon over the desert is breathtaking, the whole landscape of mountains, cactus' and palo verde come alive with light and some nights the chorus of coyotes. 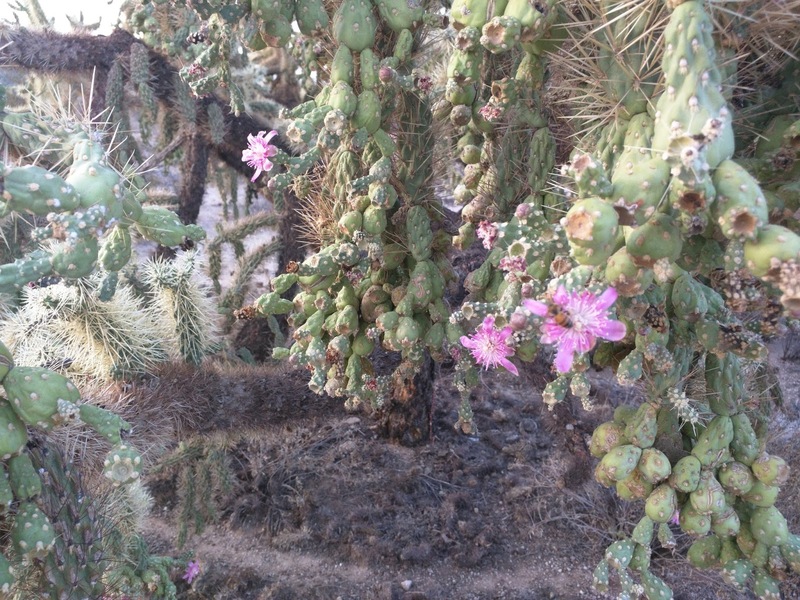 The last couple of days we have been overcome with desert wildlife . . . This morning, as I stepped out the Casita door, IN MY FLIP FLOPS, a very fast looking scorpion flew under the mat. I wonder what the neighbors think when they drive by and I am in my nightgown, with a broom, standing on a chair and sweeping things out from under my mat. I can only imagine I must be a sight to behold. :-) Ha! This week my boys caught a Gila Monster. 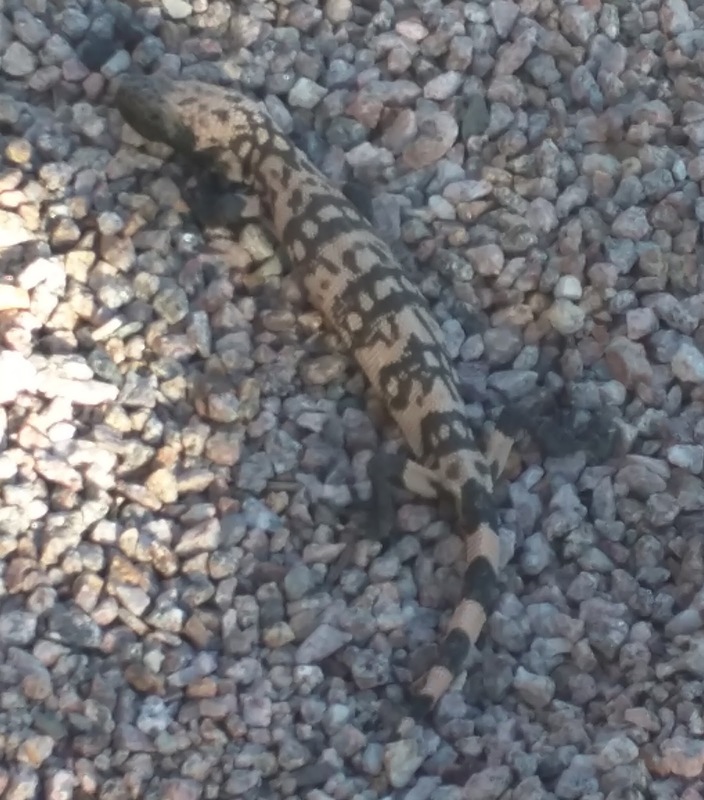 Defined: "As the name might suggest the Gila monster has one of the worst reputations in the reptile world. This lizard is often feared and has been descried as frightful and repulsive. It has been accused of many things such as spitting venom, leaping several feet in the air to attack, stinging with its tongue, and killing people with gusts of poisonous breath." AHHHH! This has been living in the boys animal reptile terrarium. Johnny continually catches lizards and swim with them and puts them on his water floatie in the sun. Yesterday the boys caught one of the larges scorpion's I have seen on our property. It's sitting in a glass fish bowl on the patio as I write. A little later I went to fill our dogs water bowl and something big and ugly had drowned in the water . . . a rather large camel looking spider. Yikes!!! Then last night we had a large snake hissing at our dog alerting us to danger over by our pool bar area. The kids were standing on lawn chairs and Casita pillars helping Dad as he tries to make our environment safe. This picture of the kids standing on the pillars just cracks me up. Johnny has a broom in hand in case the snake comes at him. Julie & Simeon jump from lawn chair to pillar and earlier Destiny was peeking out the window watching but lacked the courage to come outside. I am taking the picture standing on the pool wall a safe distance away. :-) I have lost count of how many rattle snakes we have had to kill, how many poisonous frogs I have thrown over the fence to get away from our pool and dog and how many tarantula hawks I have commanded to get off my property and away from my children (in the most Kingly authority I could muster).